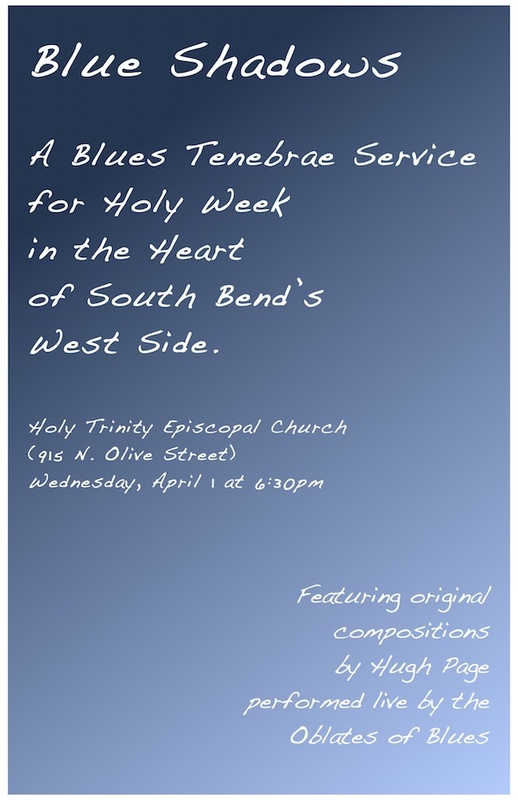 We hope that you will join us at 6:30pm on Wednesday of Holy Week (April 1) for the debut of these original blues compositions by Hugh Page, performed live by the Oblates of Blues. Tenebrae (Latin for “shadows” is taken from the office of Matins and Lauds during the last three days of Holy Week. With readings from the book of Lamentations, Tenebrae focuses on the mourning withdrawal of the apostles from Jesus in the hours of his Passion. This spiritually moving service is thus particularly well-suited to the blues idiom.